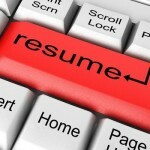 Resume Review, Editing & Rewrites: Need some polish and input? On a budget and/or time crunched? Or want full service help? —> the new and old services TRANSFORM your RESUME – with options for everyone’s budget and timeframe! Resume Review & Editing service uses my 15+ years of doing in-depth full service rewrites and condenses that expertise to make the process fast, simple, and within anyone’s budget. Until about a year ago, I used to ONLY offer ‘full service resume rewrites with various packages of 1-1, full service options. The process took 2 weeks minimum, often a month or longer….. SO — I decided to add this option so that MORE people could afford to benefit from my 15+ years of expertise in a way that better fits more clients’ timeframes and budgets! –with specific, individualized questions about your content/background to help you discover important details you may be missing! 5) Option for a Follow Up Review/Edit after you make the suggested improvements and changes to the Edited Resume I sent you. This would likely be the final input and polish to your new resume, though you may purchase as many Follow Ups as you may want! Option #2 (includes Resume Review and also light Editing ($50-100 – I will quote you based on your draft resume it isn’t “as is” current form); Follow Up Reviews/Edits $25. EMAIL ME your *best draft* of your resume to get started right away!